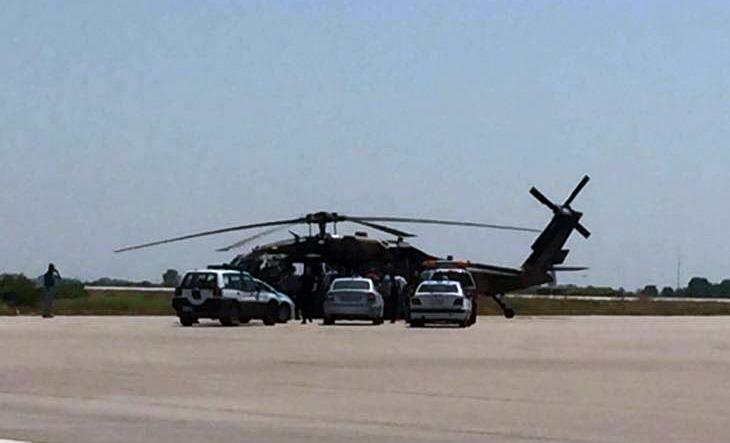 Alexandroupoli (Greece) (AFP) - Eight Turkish military personnel who fled Greece by helicopter after Friday's failed coup took no part in the putsch, their lawyer said on Saturday, although a Greek government spokeswoman contradicted their account. The eight, who have claimed asylum in Greece, arrived by military helicopter on Saturday after sending a distress signal to authorities at the airport in northern Alexandroupolis. Seven of those on board were in military uniform, ERT TV said. "They were in Istanbul with the order to transport the wounded. They didn't know what was happening exactly," Greek lawyer Ilia Marinaki told reporters. "On Saturday morning, when policemen started shooting against them, they decided to leave." Marinaki added that the soldiers -- all married and in their forties -- were "in a bad mental state" because they were afraid for both their own and their families' lives. Athens News Agency said the group was made up of three majors, three captains and two sergeant majors. Turkey's Foreign Minister Mevlut Cavusoglu said Ankara had asked Athens to send the eight back following Friday night's challenge to President Recep Tayyip Erdogan's rule by discontented soldiers in which more than 250 people died. "We have requested Greece to extradite the eight traitors as soon possible," Cavusoglu was quoted as saying by HaberTurk television. According to an official in the Greek National Defence General Staff, "the helicopter is scheduled to be sent back immediately to Turkey". "As far as the asylum-seekers are concerned, we are going to proceed according to international law" Olga Gerovasili, the Greek government spokeswoman, said. She said Athens was "in constant contact with the Turkish authorities," and would take into account the fact that "the asylum-seekers took part in a coup against the Turkish constitution". According to Turkish media reports, Greek Foreign Minister Nikos Kotzias in a Saturday afternoon phone call to his Turkish counterpart, pledged to extradite the Turkish officers. A Greek Foreign Ministry statement, however, said that Kotzias had assured Cavusoglu Greece would examine the issue according to the international law and taking into account the gravity of the charges the eight face. The soldiers were due to appear before a Greek prosecutor on Sunday. Around 300-400 members of the Muslim minority of Greece, meanwhile, staged a demo outside Alexandroupolis airport calling for the "traitors" to be sent back, an AFP photographer witnessed.